If you’re looking for catering in Palm Harbor Fl, then Fairway Pizza has got you covered! Don’t worry, we have more than just pizza for your next big event and no matter what you order, we can guarantee that your guests will love it! Why? Because here at Fairway Pizza, we make food that people crave. Among our party tray offerings for your next big event, you will find plenty of great traditional Italian food offerings. Our baked ziti, chicken parm, fettuccini Alfredo, eggplant parm, lasagna, stuffed shells, meatballs, and sausage and peppers are among favorites when it comes to our party trays! You can order as little as 1/2 a tray which will feed 10 to 12 adults, or you can go bigger and order…well, as much as you want! Plus, you can even get a few orders of garlic bread on the side to satisfy those carb cravers! 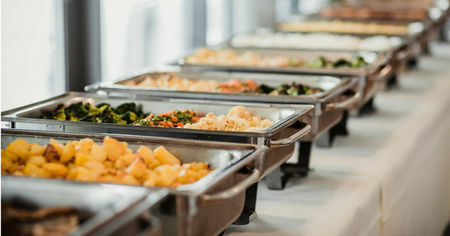 If you’re not looking for something heavy and you’re just catering to a smaller event, try our cold catering options. Included in our cold offerings are our Greek salad, our Greek salad with potato salad, and of course, our line of Brooklyn Cannoli Desserts! Many Palm Harbor residents choose our cold catering trays for those late summer barbecues! Looking for something to compliment that cold buffet bar or something to get people started while you’re getting the dinnerware set out for dinner? We’ve got vegetable trays and chicken wings that are sure to please everyone! Our chicken wings are available in mild Buffalo, medium Buffalo, hot Buffalo, honey BBQ, garlic parmesan, or Teriyaki and come with 50 wings per half tray. Order a couple of half trays to mix it up or if you’re expecting a crowd (or friends who really love wings), go with a few whole trays instead! Of course, as the premier northern pizza place in Palm Harbor, Fairway Pizza has plenty of pizza choices too! So if you’re catering to a team event, having a teen party, getting ready to watch the big game, or just hosting a big movie night, our pizzas are sure to satisfy. We have all of your traditional pizza offerings in addition to our specialty choices which include our house special, a Mediterranean pizza, vegetarian pizza, southwestern pizza, Philly cheesesteak pizza, seafood pizza, Hawaiian pizza, and of course, the meat lovers option for all of you carnivores out there! Each of our medium crust pizzas is available in small (one 11″ pizza cut into 6 slices) and large (one 15″ pizza cut into 10 slices). Looking for Catering in Palm Harbor? 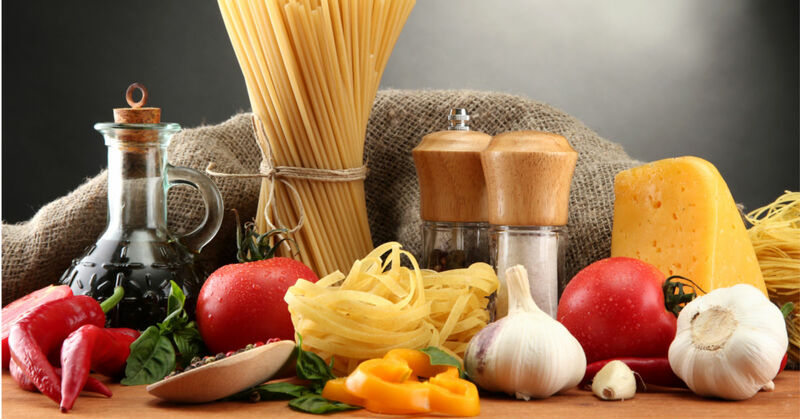 If you’re looking for catering in Palm Harbor but aren’t quite sure what you’re looking for, give Fairway Pizza the chance to wow you with our delicious Italian food favorites! To find out more about our catering offerings just pick up the phone and give us a call at 727-772-7060 or drop by and pay us a visit and try our food for yourself before you order our catering services!